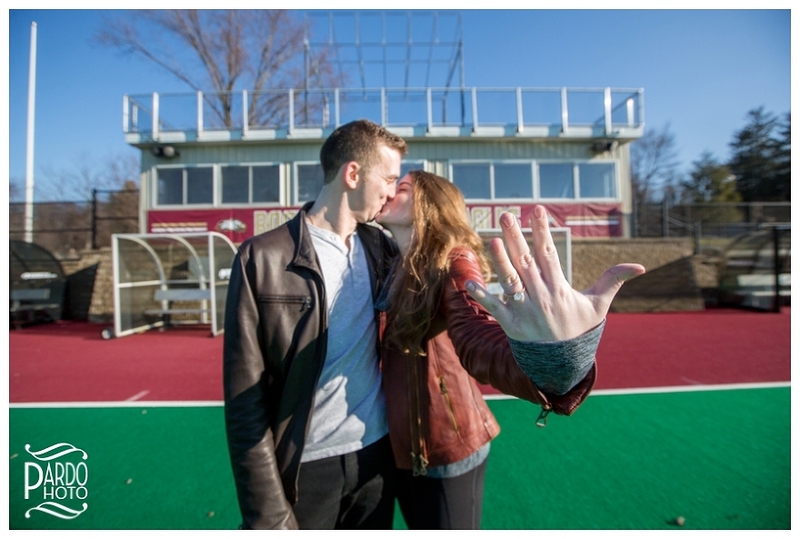 AJ had already picked out the spot where he would ask Hannah: Boston College. 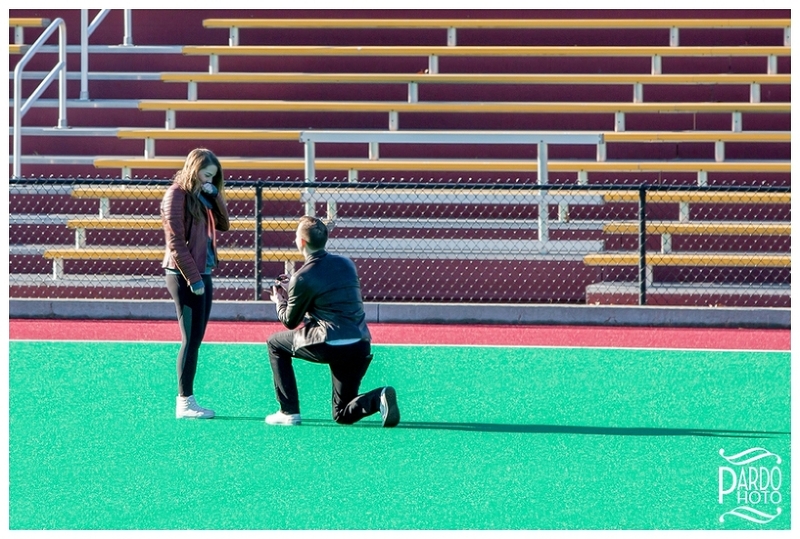 They had actually met at Thayer Academy, but it wasn’t until they were at Boston College that they started dating—while Hannah was playing field hockey and AJ was the game announcer. So when I arrived, I hid in the announcer booth to wait for their arrival. The two of them walked out onto the field together, and I watched as AJ got down on one knee to propose. It was perfect! Then, they both turned toward the booth and waved, and I could see on Hannah’s face that she was surprised the whole thing had been photographed. I ran downstairs to congratulate them, and I could feel the excitement buzzing between them! After that, we took a few more pictures by the BC sign and then out around the field. Hannah started to spontaneously dance (I mean, who wouldn’t?) – the whole thing was fantastic! Finally, we parted ways, and they headed off to meet with both of their families. AJ had arranged for Hannah’s sister to travel from Washington, D.C. to be with them—and their families were waiting for them at their apartment when they were done! What an absolutely incredible way to spend an afternoon! These two are perfect for each other, and I was honored to record this momentous occasion in their story.